Editor’s Note – Was your yardfarm exceptionally productive this year? Read below to find out what to do with the extras. This article was originally posted on FIX.com and written by Jenny Peterson. We do it every year. Novice and experienced gardeners plant too much of a good thing in their edible gardens. Novice gardeners, in their inexperience, often plant all of their veggies at the same time or have no idea how many of a specific veggie to plant, while more expert gardeners like to push the envelope and try a number of different kinds of veggies, more than they did the prior year. The end result is still the same – lots more harvest than any one person or family could possibly eat. So what can you do with all of that extra food? First up – let’s talk about how much you should be growing in your garden to avoid being inundated with excess food, leading to waste. Unless you are intentionally growing excess food for the purpose of donating it, there are generally agreed-upon guidelines for how many tomato or zucchini plants one person should plant. Of course, if you really love tomatoes and truly hate zucchini, you will adjust these numbers up or down. And if you plan to “succession plant” so that you have enough tomatoes for the entire year, use the suggested number each time you plant. Still have excess harvest? Here are four ideas, ranging from those that you have heard about but may never have tried, to a couple of lesser-known solutions. Any kind of fruit or vegetable can be composted, leading to nutrient-rich compost that can be added to your vegetable garden next year. Compost any harvest that is overripe, spoiled, moldy, bruised, or has been nibbled on by garden pests. Don’t add diseased harvest into your compost pile, though, as that can spread the disease to next year’s garden and create a nasty cycle that is easily avoided. If you have active disease in your produce, dispose of it in a bag and put it in the trash can. Compost piles can be open piles in your backyard or contained in covered bins. If you have wildlife in your area or have a problem with rodents, it’s best to use a container system if you plan to add spoiled harvest to the pile. Open piles with food in them will attract rodents and other animals that will remove items from your pile nightly. Freeze-drying is a great option for those who like to stockpile food, live in very cold areas with extended winters, and like to be prepared for the occasional emergency – or those with excess harvest. Fresh or cooked food is put into a dryer that freezes it to -50 degrees, then removes moisture and seals it in oxygen-proof packaging to preserve freshness. It takes about 24 hours, requires no refrigeration, preserves taste and nutrition, and saves money. Your tomatoes, squash, corn, beans, peas, and cucumbers will be waiting for you to enjoy them whenever you get the itch or the need – all you have to do is add a bit of water to rehydrate them and you’re good to go. Most of us know that fresh foods from our gardens can be eaten in salads, grilled with meats, popped into soups, or sautéed with dinner. If you’re overrun with produce and would like to enjoy it during the off-season, though, there are a number of foods that are easily used in canning. Canning vegetables and fruits is the process of packing them in a glass jar and sealing them with lids that ensure no bacteria growth is possible. And if you wonder which fruits and veggies can be canned, simply look at the shelves in your grocery store. Beans, carrots, peas, potatoes, asparagus, squash, cucumbers, tomatoes, cabbage, peppers, beets, onions, and corn can all be canned. If you’re into pickled veggies, reach for peppers, beets, onions, and cucumbers. Freezing vegetables is another great option, but be sure you have enough freezer space to accommodate all the freezer bags you fill. Broccoli, cauliflower, spinach, onions, peas, squash, carrots, corn, artichokes, eggplant, mushrooms, and brussels sprouts all freeze well. It’s a good idea to blanch the produce first before placing it into airtight freezer bags – and remember to label each bag with its contents and freeze date. Consume the oldest frozen food first to avoid waste from freezer burn, which can happen in as little as three months even with proper preparation. Aside from simply giving zucchinis and cucumbers to your neighbors and family members, there are several ways you can share your excess harvest while helping other people out. Place your excess fruits and vegetables in a box or a basket with a sign that says “Free Food! Please take and enjoy.” in your front yard by the curb. Make sure to remove any spoiled food that is left over, placing those in the compost pile, and then replenishing the box daily with more excess harvest. Many food banks and soup kitchens accept excess harvest from your backyard garden, but you’ll want to call ahead to make sure the ones in your area do accept perishable food. Ask about their guidelines for delivery, and if they have days that are preferable to receiving donations. Most donation sites ask that you bring only produce that you would serve your own family – no rotting or overly bruised foods – making sure it is clean and transported in a food-safe container. 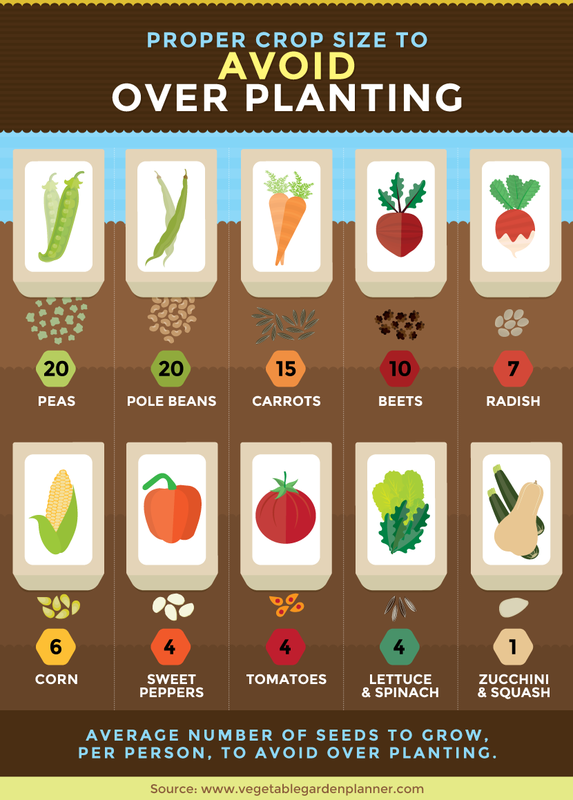 With a little planning, you can avoid excess harvest altogether – and with a few tools and added instruction, you can feed your family throughout the year, share with neighbors, and help out those in need, all from your backyard garden. Alleycat Acres Puts New Twist on Community Gardens in Seattle Faith Communities as Sowers of Sustainability?